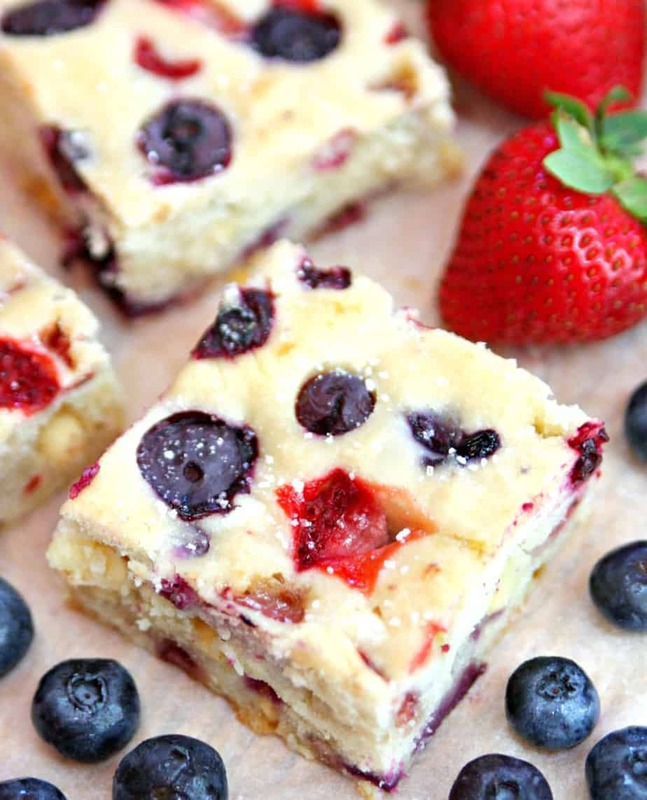 Berry White Chocolate Cookie Bars – Cookie bars loaded with strawberries, blueberries and white chocolate chips. A delicious dessert perfect for the Fourth of July. We’re headed to a Fourth of July party at my brother’s house tomorrow and I wanted to take something festive and delicious. 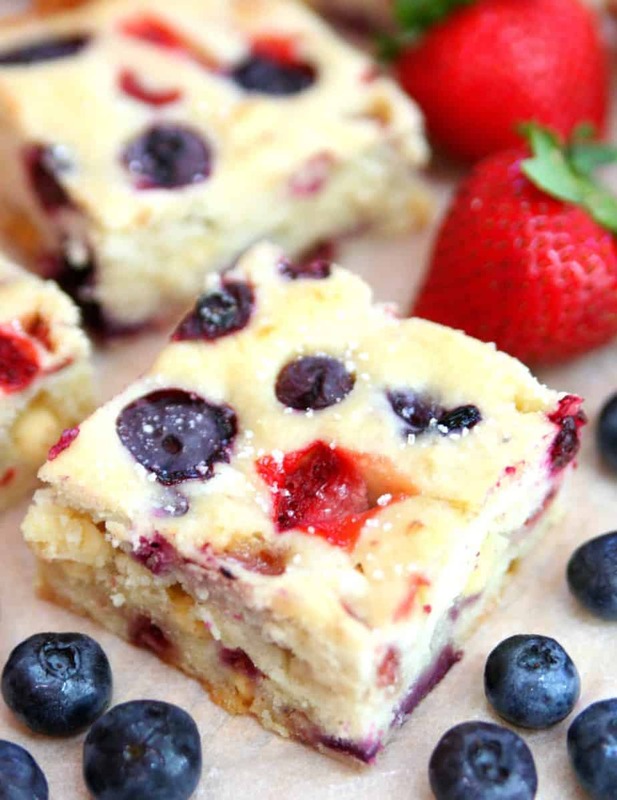 Of course, it had to be red, white, and blue so I whipped up these delicious Berry White Chocolate Cookie Bars. It’s hot and humid here in Maryland so I was feeling something light and fruity. These cookie bars are the perfect dessert for a summer backyard party. I love the strawberries and blueberries in this recipe but you could easily use all blueberries or any of your berry combinations. Flour, baking soda, salt, sugar, vanilla extract – all the usual baking staples that you probably have in your pantry. 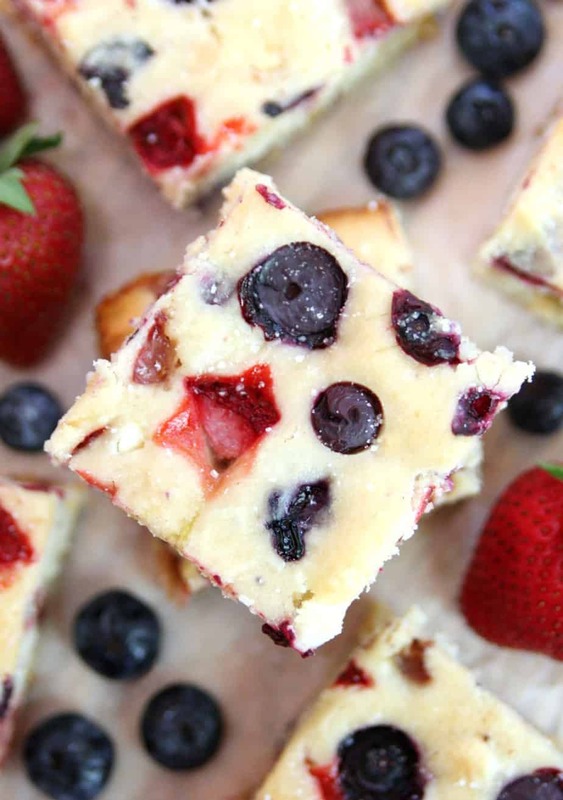 These cookie bars combine three of my favorite things – strawberries, blueberries, and white chocolate. The cream cheese makes these bars moist and fluffy and the fresh berries make these the perfect summer treat. And, I love how the strawberries look like stars. 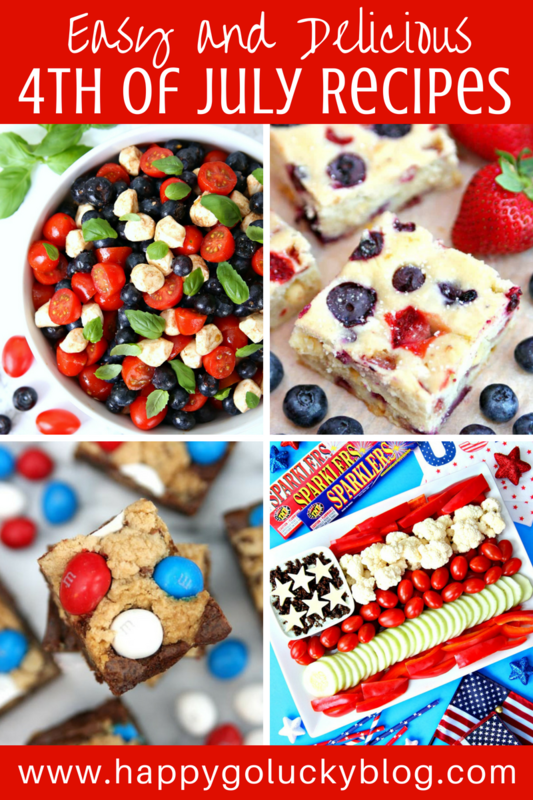 Now I have these amazing red, white, and blue cookie bars to share with everyone on the Fourth of July. 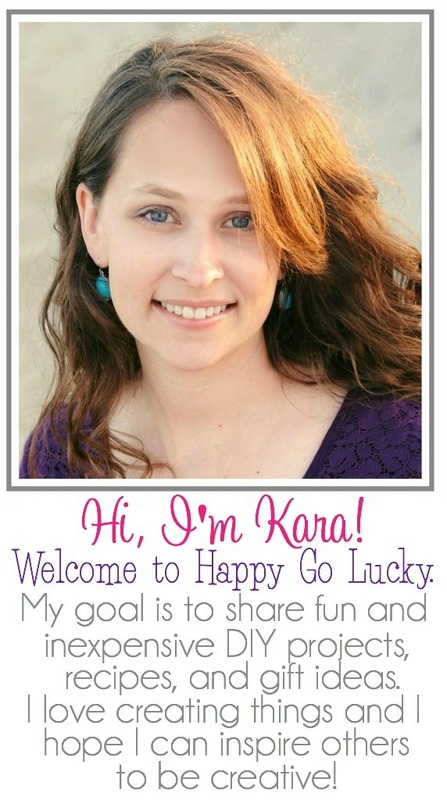 I just need to keep them away from my husband before he eats them all. Preheat oven to 350 degrees. Spray 9×13 baking pan with cooking spray. In medium bowls, whisk together flour, salt and baking powder. Set aside. In large bowl, beat butter with sugar and cream cheese until it’s light and fluffy. Add egg and vanilla and continue to mix. Gradually add flour mixture to cream cheese and butter mixture. Mix until it’s well combined. Sprinkle strawberries and blueberries with 1-2 tablespoons flour. Toss them until all berries are coated with thin layer of flour. Fold them gently into the batter. Add batter to baking pan and spread evenly. Sprinkle sanding sugar over dough. Bake for 35-40 minutes or until toothpick inserted in center comes out clean. Let bars cool before cutting. Okay, it’s not even 8am and I’m craving dessert. Totally normal, right? Riiiight. Let’s go with that. Either way, these look absolutely delicious! Karly, these bars would pair perfectly with your morning coffee:) And, it’s totally normal to want dessert for breakfast. I say go for it!